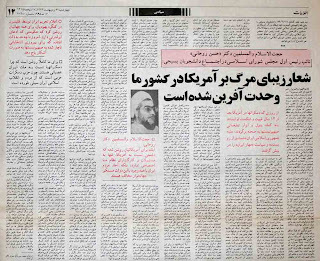 The newspaper page on the left is from the Ettela'at Daily, printed in Iran. Publication date is 17 of May, 1995. 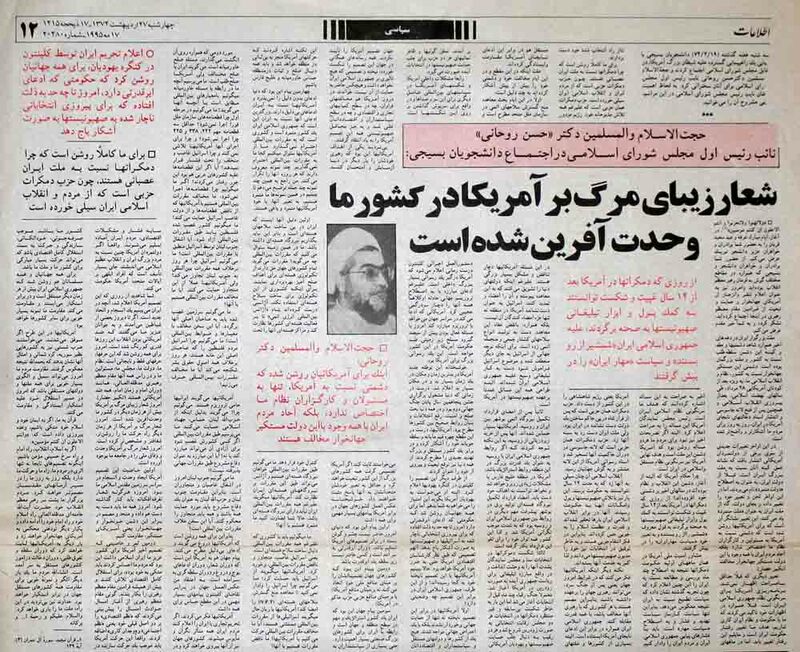 The Title in large bold letters quotes Dr. Hassan Rowhani as saying "The Beautiful Chant of 'Death to America' is Unifying Our Country". Glasgow Caledonian University claims Rowhani or Hassan Feridon, graduated with a PHD from the university in 1999. So when Ettela'at Daily referred to him as Dr. Rowhani, four years earlier, which other PHD qualification was it referring to? This is the guy Hamid Dabashi was saying is sooooo respectable in his recent article?